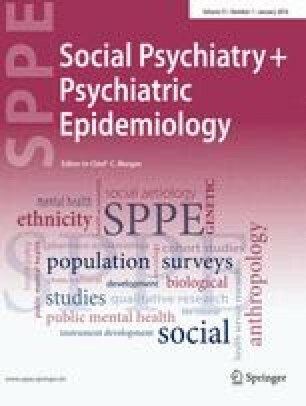 This article reports the initial results of a prospective study on the prevalence of psychiatric disorders in the Dutch population aged 18–64. The objectives and the design of the study are described elsewhere in this issue. A total of 7076 people were interviewed in person in 1996. The presence of the following disorders was determined by means of the CIDI: mood disorders, anxiety disorders, eating disorders, schizophrenia and other non-affective psychoses, and substance use disorders. Psychiatric disorders were found to be quite common. Some 41.2% of the adult population under 65 had experienced at least one DSM-III-R disorder in their lifetime, among them 23.3% within the preceding year. No gender differences were found in overall morbidity. Depression, anxiety, and alcohol abuse and dependence were most prevalent, and there was a high degree of comorbidity between them. The prevalence rate encountered for schizophrenia was lower (0.4% lifetime) than generally presumed. A comparison with findings from other countries is made. Relevant determinants of psychiatric morbidity were analysed.